Cork is an indelible factor of social and economic development for the countries of the Western Mediterranean. It combines a centuries-old tradition with the most modern practices of an industry of the future, and one that leads the way in sustainability. The extraction of cork is the most well-paid agricultural work in the world, due to the expertise and care that it requires. 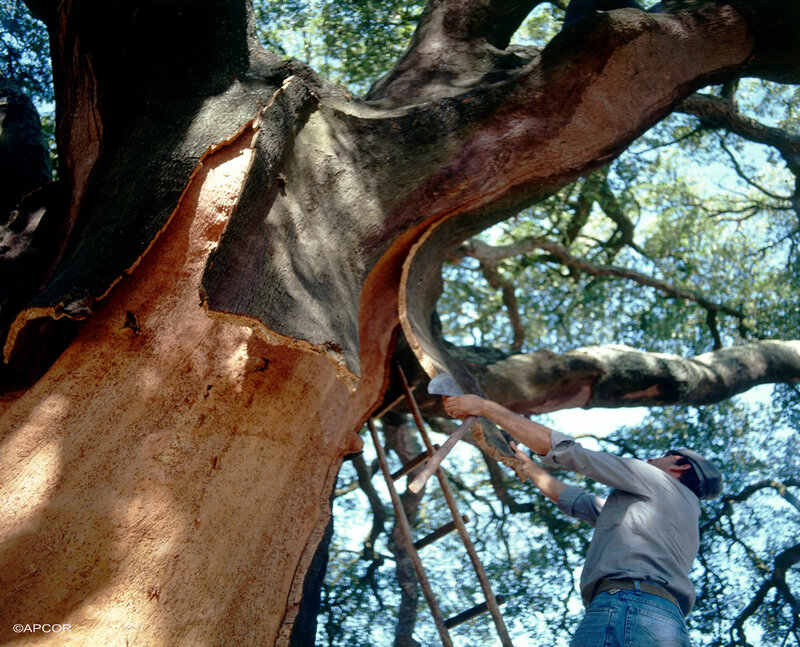 The cork oak forests are one of the few examples of totally sustainable forestry, due to the market price of cork. Despite the variety of cork products, it is wine bottle stoppers that drive the cork industry: they represent 70% of the market value of cork. Desertification is one of the most pressing problems facing humanity. In rural areas, it can only be prevented through the sustainable use of land and the maintenance of economic viability. The cork oak forests, forming environmentally and economically sustainable systems, provide an important ally in the prevention of desertification. In addition to preserving the biodiversity and regulating the water cycle, they also halt depopulation (constituting economically viable agroforestry systems). No other cork substitute product will be as sustainable, from an environmental point of view, taking into account the poor soils and harsh climatic conditions. In some villages, cork is the main income, keeping these areas alive with economic and social activities. Cork not only creates wealth, but also distributes it, making these regions economically viable. From an urbanistic perspective, the inhabitants also rely in this unique ecosystem. In addition to the regulation of water, control of the air, small-scale agricultural production, domestic and personal products, there is also a huge range of leisure and recreational activities. At the forefront of the industry, Portugal is a world leader in the production, processing and marketing of cork. It has the largest area of cork oak forests in the world, with more than 730 thousand hectares (34% of the total), and produces 100,000 tons of cork (5% of the total). It is the world’s largest exporter of processed products, with 63%, which is equivalent to 986.3 million euros. Portuguese exports of cork represent approximately 2% of all Portuguese goods exported, 1.2% of total exports, and a balance of trade of 815.6 million euros. 12.4% of the number of persons employed. It is in the area of exports that the sector stands out the most in this group of industries, accounting for 70 percent of turnover and 65 percent of the number of persons employed in the export sector, in 2014. The balance of transactions in goods and services with foreign countries was 45 percent in the cork sector in 2014. According to the Portuguese Institute of Statistics, in the recent Economic Accounts for Forestry (28 June 2018), cork was decisive for the GAV of forestry with a nominal increase in production of 5.8 percent. Volume increases of 3.9 percent and 1.8 percent in price, contributed to this development. The volume of cork production has been increasing since 2006. In the seven cork-producing countries of the Mediterranean, more than 100,000 people directly or indirectly depend on this sector, according to the WWF. 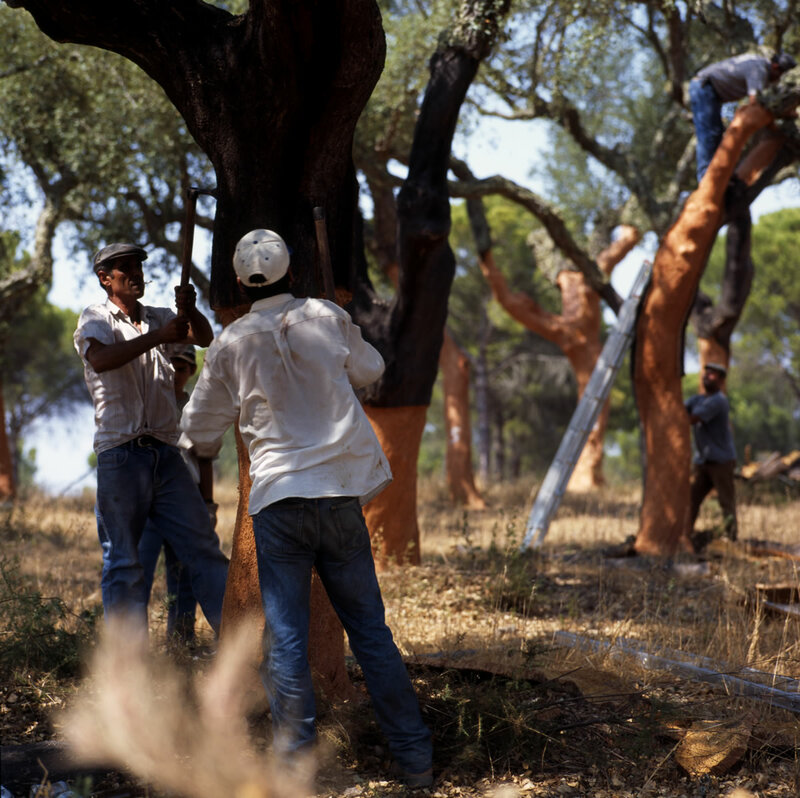 In Portugal, the cork oak and forest systems represent 8.310 direct manufacturing jobs. Thousands of indirect jobs in activities related to oak also have undeniable importance: collection of medicinal plants and mushrooms, production of honey and wax, coal production, hunting, livestock, bird-watching, tourism and horse rides. There is a huge range of possibilities that attract investment, promote national industry, guarantee jobs, and contribute to raising environmental awareness. The environmental services of the montado are valued at least 100 euros per year per hectare. A study of the Corticeira Amorim and the European Cork Confederation (C. E. Liège), which focused on the Herdade de Machoqueira do Grou (with forest management certified by the Forest Stewardship Council), in the municipality of Coruche, a property of 2423 hectares with different soil uses, including 1000 hectares of oak, concluded that the services of the ecosystem analysed are worth at least 100 euros per hectare per year – which, in the case studied, represents a total value of 100,000 euros per year.